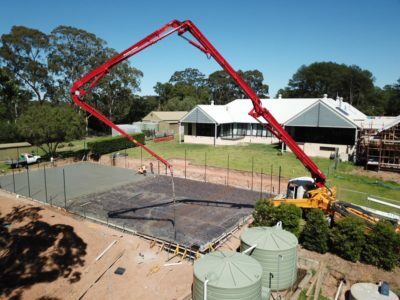 Sportszone Group recently built a tennis court for a residence in Dural New South Wales. The homeowner and family are what you would call ‘tennis enthusiasts’, and there is no doubt that this court will provide them with years of enjoyment. We recognise that adding a tennis court to your home is adding an asset, value to your home and that is why it is important to us that we provide a high-quality surface that will last and look good for many years to come. We are an Australian owned company using products made in Australia that comply with ISO 9002 standards. That is important because the Australian climate is harsh and can greatly affect a court’s surface and longevity. 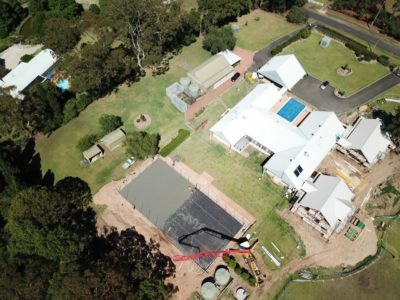 We have over 15 years experience installing Tennis Courts, experiences on all scales, from prestigious courts in Mauritius to tennis courts throughout Australian Clubs and private homes. We pride ourselves on our service; it is very important to us to listen to our customers about what they want and use our vast knowledge and skills to make it a reality for them. We have experience in Tennis Court construction, surfacing and resurfacing as well as court refurbishment. We install synthetic grass tennis courts, synthetic clay tennis courts and acrylic tennis courts. Our services include full construction including the court surface, fencing, lighting, planning and development. You can be assured that whatever you want we can make it happen. If you are interested in building a tennis court take a read of our 6 Tips for building a tennis court then contact us to make your idea a reality.